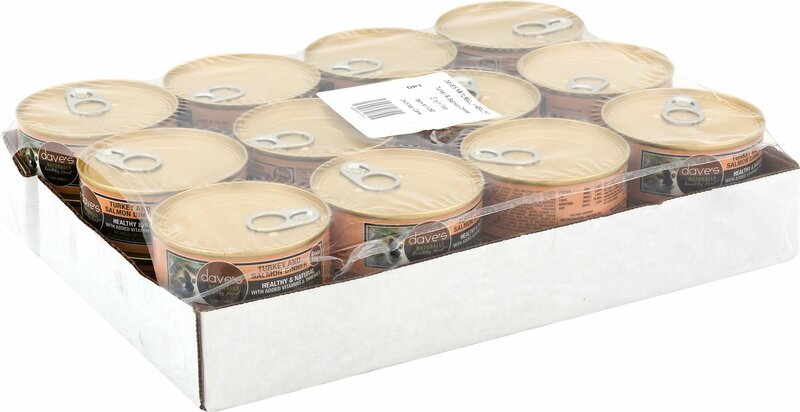 Give your kitty the nutrition he needs to thrive with Dave's Pet Food Naturally Healthy Grain-Free Turkey & Salmon Dinner Canned Cat Food. The formula provides plenty of protein to fuel all those adventures, with protein-rich turkey and salmon as the top ingredients. Every juicy bite is loaded with wholesome omegas for a lustrous coat, plus vitamins, minerals and essential taurine to help your pal look and feel his best. With no grains, wheat or anything artificial, even kitties with sensitivities can dive into their bowl. 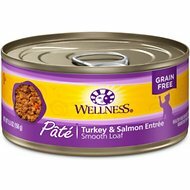 Grain-free wet food is made with turkey and salmon as the top ingredients for animal sourced protein to support healthy muscles. 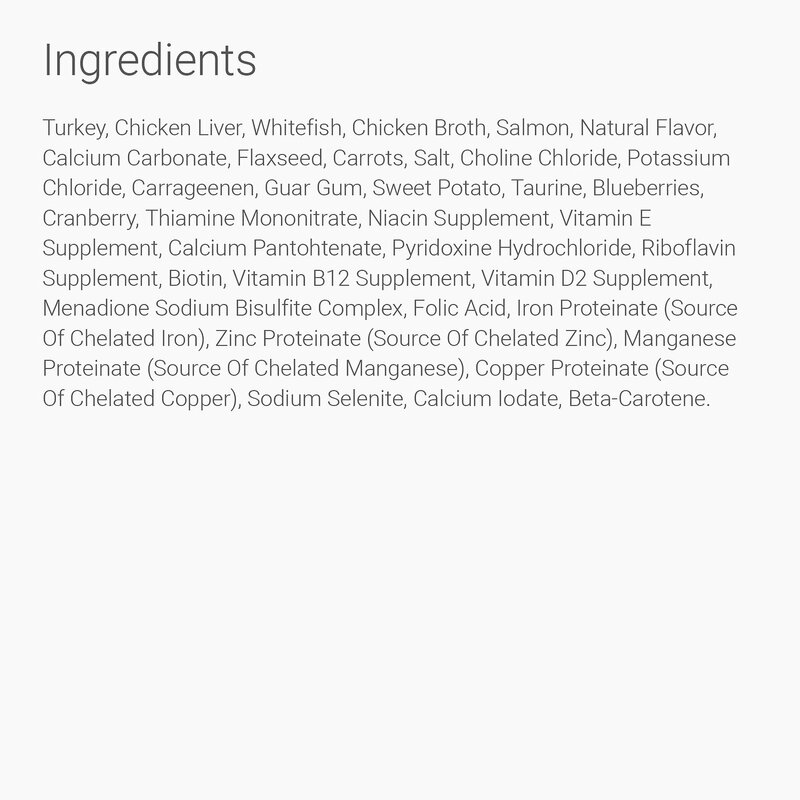 Turkey, Chicken Liver, Whitefish, Chicken Broth, Salmon, Natural Flavor, Calcium Carbonate, Flaxseed, Carrots, Salt, Choline Chloride, Potassium Chloride, Carrageenen, Guar Gum, Sweet Potato, Taurine, Blueberries, Cranberry, Thiamine Mononitrate, Niacin Supplement, Vitamin E Supplement, Calcium Pantohtenate, Pyridoxine Hydrochloride, Riboflavin Supplement, Biotin, Vitamin B12 Supplement, Vitamin D2 Supplement, Menadione Sodium Bisulfite Complex, Folic Acid, Iron Proteinate (Source of Chelated Iron), Zinc Proteinate (Source of Chelated Zinc), Manganese Proteinate (Source of Chelated Manganese), Copper Proteinate (Source of Chelated Copper), Sodium Selenite, Calcium Iodate, Beta-Carotene. Don't like flavor or consistently. I have 5 cat's and not one of them likes this flavor. They each eat a small amount and I have to throw out the rest. So-so product, so-so feline acceptance. This is a product of Thailand. It is a rather homogeneous pate and somewhat on the thin side..... not quite runny. The aroma seemed, to me, to be rather strong. My cats (3) would eat it, with limited enthusiasm, as the first meal of the day, but it was obviously not preferred. All my cats gobbled it down! 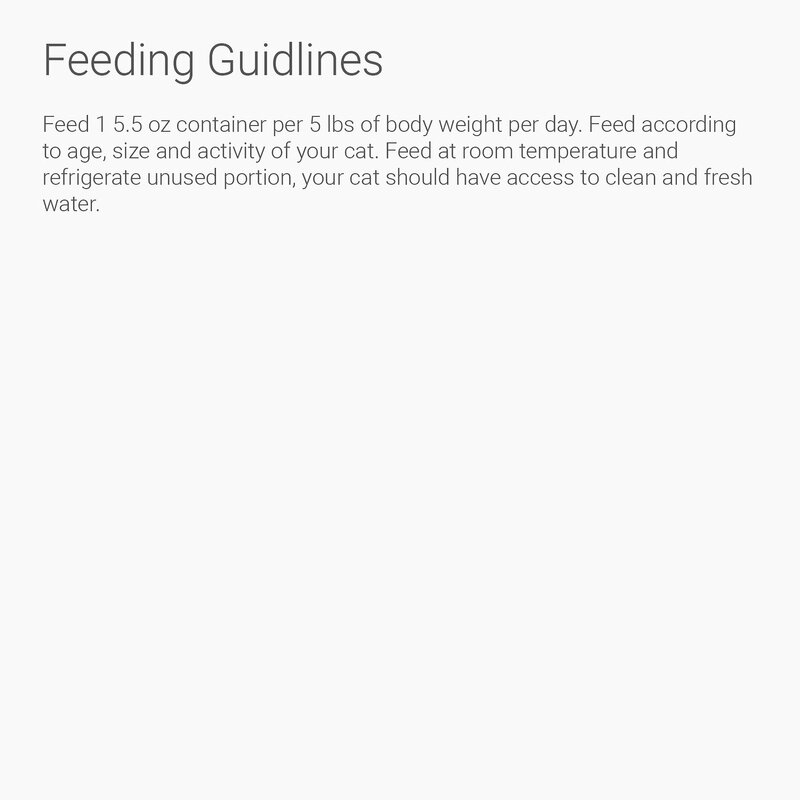 As if having to please 6 cats isn't hard enough. Each has his or her own food sensitivity. All of them ate it so fast from the first time they ever tasted it!! That's amazing. Yummm... but 3 oz cans please..! This is great for my picky Bengal but we really wish you'd carry 3 oz cans... I'd get autoship if you did! All four cats loved this food right from the beginning and ate it completely. 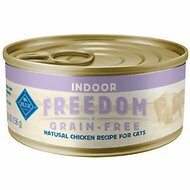 One of our cats has digestive issues, and we're always looking for grain free food that both of them will enjoy. 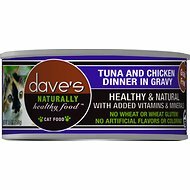 We have had great success with lots of the Dave's brand cat food; this one disappears off the plate as soon as we put it down for them. I do not know why but neither cat likes it. They eat a little bit and then it sits in their bowl and they will finally finish the rest off at dinner time b/c I won't give them anything else. They do like Dave's Gobbleicious Gourmet Dinner, though, so I will be ordering that one again. 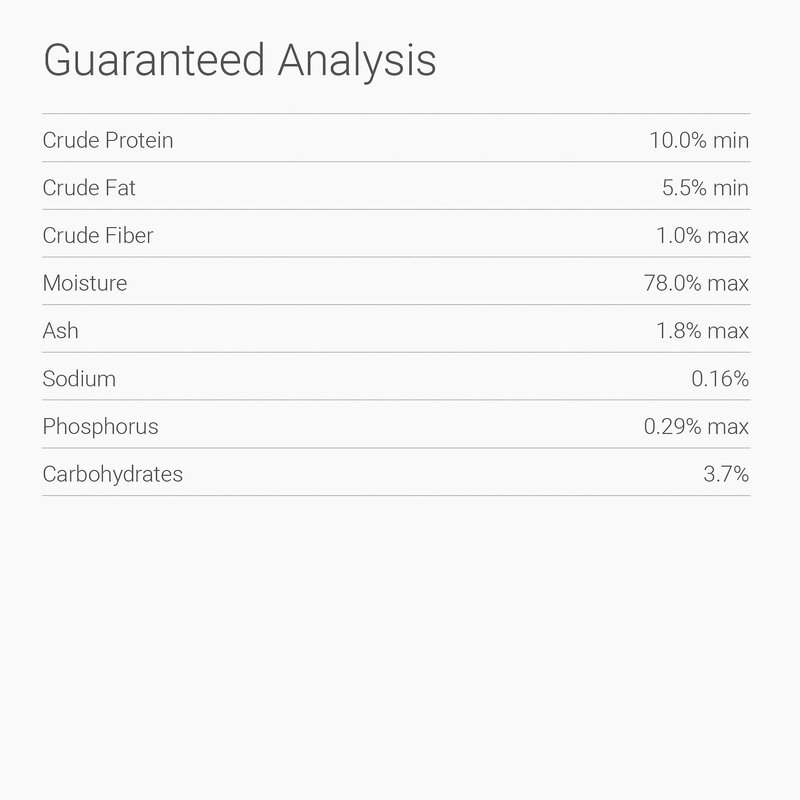 Jack is somewhat finicky, but gobbles this cat food up in record time. I'm surprised he doesn't gobble with as much of this enticing food as he has had. Four indoor cats, and three outdoor cats, and not ONE of them would even TASTE the stuff. It smells like BURNT WOOD! Blech!